UCT students are invited to nominate a teacher who is currently teaching in a secondary school and who, in your opinion, deserves recognition for years of dedicated teaching to students from educationally disadvantaged backgrounds. 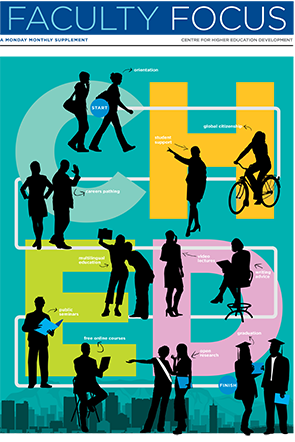 "Collaborating and partnering for change: 2013-2017" is a booklet that showcases CHED's contribution to UCT's strategic goals. Download "Collaborating and partnering for change: 2013-2017"
UCT’s Senate Language Policy Committee (LPC) is interested to know what you think. Research into the way the San have been represented in Iziko South African Museums over the past 100 years has earned University of Cape Town (UCT) academic Medeé Rall her PhD in education – her fourth from the institution. The results of a two-year investigation into changes in the higher education landscape here and in the UK will be widely shared via a specially created MOOC. The title of UNESCO Chair in Open Education and Social Justice has been awarded to the CHED's Cheryl Hodgkinson-Williams, associate professor in the Centre for Innovation in Learning and Teaching (CILT). • Careers Service • Centre for Educational Testing for Access and Placement • Centre for Innovation in Learning and Teaching • Centre for Extra-Mural Studies • UCT School of Design Thinking (d-school). CHED aspires to be a significant contributor to innovative educational development, practice and scholarship in teaching and learning, in order to champion and advance social justice and transformation within CHED, UCT, the higher education sector and the broader society. CHED’s mission and vision are reflected in a wide range of services which recognize two important realities about UCT’s students: Firstly, they are amazing, being some of the most talented and academically capable students in the country and from across the continent. Secondly, many of these very same students arrive at UCT, against great odds given the ongoing legacy of unequal provision of education. By providing ‘enabling pathways’ for students to flourish and contribute to UCT’s excellence, CHED realises its commitment to social justice and transformation that underpins all its work.